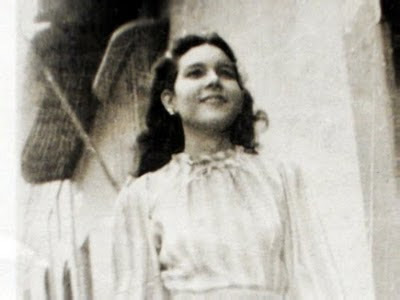 Maria Esperanza Medrano de Bianchini was born in Barrancas, Venezuela on the feast day of Saint Cecilia, November 22, 1928. Her mother, Maria Filomena, and father Aniceto Medrano had desperately wanted a daughter, as they already had three boys, and so the mother asked the Blessed Virgin, to grant her a girl. The birth occurred while Maria's mother was taking a trip by boat in search of better medical facilities for Maria’s birth. It was a very painful delivery, and during her pregnancy Maria's mother had often prayed before a picture of the Blessed Mother, offering the child to the Virgin Mary, and promising to name the child Maria (Spanish for Mary) if it was a girl, and Esperanza the Spanish word for "hope". And through the grace of God so came into the world "Mary Hope”, destined to lead others to Jesus through Mary. As a child, Maria was often sick but she repeatedly recovered from mysterious disorders in a miraculous way, most notably surviving severe heart and respiratory maladies. It seems that God was preparing and purifying her through suffering, as is often the case with those called to a special mission in the Church. 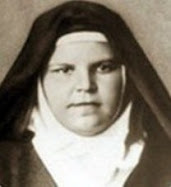 During her childhood, Maria showed a precocious interest in religious matters, often playing with dolls that were dressed as priests and nuns. At the age of five, she had her first mystical experience. While saying goodbye to her mother who was leaving on a trip, Maria Esperanza saw Saint Therese of The Child Jesus emerging from the waters of the Orinoco River. The saint tossed Maria a rose that she caught with her hand. It was a red rose and it had a velvet texture. She then gave it to her mother who was amazed because of the fact that there were no roses nearby. By the age of 12 she had developed such an acute case of pneumonia that her doctor didn't think she would live more than three days. "Mother of mine, would it be that you want me to come to you?" Maria asked. She then prayed, waiting for an answer. When she opened her eyes, the Blessed Virgin was smiling in front of her. Our Lady appeared to Maria as the Virgin of the Valley of Margarita (another apparition site off the coast of Venezuela) and told the girl what medication to take. Maria later learned that her father had a special devotion to the Virgin of the Valley, and on his deathbed he had called upon the Virgin to protect his wife and children. Our Lady's remedy turned out to be the medication that cured Maria. There were other trials during her youth, and so sick was Maria that she was fed through injection. Still, the young Esperanza never wavered in her faith. Praying another time for Christ to take her so she would no longer be such a burden to her family, Maria opened her eyes and this time saw the Heart of Jesus. It was full of light and dripping blood. "He was strong:' recalls Maria. "His eyes, how they penetrate. It's like radar the way He penetrates you with His eyes! It was so beautiful, beautiful eyes ... His face was so gentle!' When He appeared to Maria, Christ addressed her as "My white rose of love." Instead of granting her death, the Lord and His Mother came to heal her. But they explained that life is a long series of trials, and that the bridge to Heaven is constructed through trials, purgation, and humility especially humility. "My daughter, when you begin your pilgrimage you will have many sufferings," Our Lady told her. "They are the pain of this mother. Help me. Help me to save this world which is going astray" And so began Maria's mystical journey at the age of twelve. During her teenage years she received several mystical graces including the ability to read into hearts, and she often had the premonition of knowing when guests would arrive, or when her family or friends were sick, or if something significant had happened to them. Once she told a person who had been diagnosed with cancer, “It is just a problem with your vesicle and I feel you must be operated immediately”, he was operated and was healed. She also prayed upon a little boy who had Typhoid fever and the child was healed. On another occasion, she told a leprous woman to take a certain medication and following Maria’s instructions she was healed. 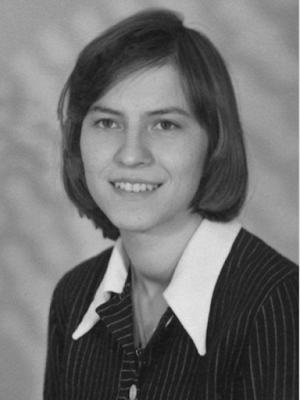 As she passed from adolescence into young adulthood, naturally her vocation in life was at forefront of her concerns. At first she wanted to become a nun and entered a convent in 1954. That same year, on October 3, at the end of a Mass, she had yet another implausible experience. Once again, Saint Therese of the Child Jesus appeared to her, and once more a rose was thrown to her. But this time when Maria went to catch it, as she had done as a girl of five, it wasn't a rose that landed in her hand. Rather, something pinched her right palm and blood began to seep from that hand. It was the onset of the stigmata. "This is not your vocation, yours is to be a wife and mother, " the Little Flower instructed her. Maria felt at that moment that she would eventually leave the convent and become a mother, working for the Lord in the world. Her vocation was to be that of a family woman. Soon after Maria went to Rome to live at the Ravasco Institute, run by Daughters of the Hearts of Jesus and Mary at the Vatican. One day she saw an apparition of a man waving a flag that was white, red, and green, and to her it was a sign that her future husband would be an Italian. 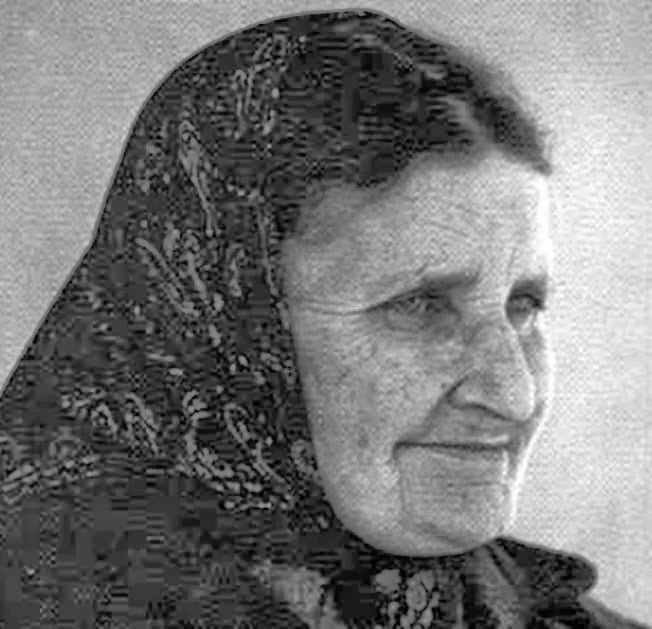 Soon afterwards, an apparition of John Bosco announced to her that she would meet her future husband on November 1, 1955. And so it was in Rome, in front of the Church of the Sacred Heart of Jesus, she met Geo Bianchini Gianni on November 1, exactly as was foretold to her. The following October 13, the anniversary of the great miracle at Fatima, Our Blessed Mother told Maria she would be married on December 8, 1956 -the feast of the Immaculate Conception. Exactly as predicted, Geo and Maria were married that day in the choir chapel of the Immaculate Conception at St Peters Basilica. When Maria was a young woman, the Blessed Virgin Mary showed her in a vision a special piece of land with an old house, a waterfall, and a grotto. This vision was etched as it were into her mind. Maria had even discussed the vision with Padre Pio during a visit with him on one occasion. "From 1957 until 1974, we searched for this land in all of Venezuela" Geo explains. "In 1974, in February, we heard about a farm and decided, 'Let's see it! We called the guy in March and went to see it. When we arrived, Maria said, 'We have to buy this farm! In June we signed the contract…It corresponded exactly with a vision my wife had been given when she was a very young girl." Her beloved husband Geo and his partners purchased the land and cleared the hillside and Geo and Maria often visited the farm on Saturdays, praying and taking care of the livestock. In February of 1976, while Maria was in Italy tending to Geo's ailing mother, the Blessed Virgin told Maria to head back for Venezuela and prepare herself for something that was to happen at Betania on March 25, 1976. "You shall see me on the land your purchased," the Virgin announced to her. "My heart I gave to you. My heart I give to you. My heart I will always give to you." Maria Esperanza was the only one who was able to see her. However, approximately 80 people who were with her at Betania that day witnessed a cloud that came from the forest, as well a remarkable movement of the sun. It was also around this time that the wounds of the Stigmata began to be more apparent. Thus began the apparitions at Betania. What has made Betania different than any other apparition site is that while the appearances there were initially given to Maria, many of the subsequent supernatural events that have occurred at apparition site are independent of her, that is, many events have taken place at Betania with or without Maria being there or experiencing them. The most momentous of these occurred on March 25, 1984, when seven successive apparitions were witnessed by a total of 108 people. It was this event that started the local Bishops investigation into the alleged events. Bishop Pio Bello thus began an intensive study into the occurances up to that point, interviewing as many eyewitnesses as possible. In the days and months that followed the first apparition to Maria, literally hundreds of people saw the Mother of God at Betania. She appeared to some as the Virgin of the Miraculous Medal and to others as the Virgin of Lourdes. They most commonly see her as a type of living marble statue or as a manifestation formed in luminous light, smoke, or clouds. 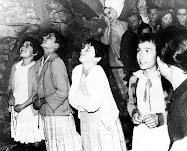 Others have witnessed The sun pulsing as at Fatima, along with a blue butterfly that seemed to flit out from the grotto at the moment Maria began to see the Virgin Mary in a vision. Pilgrims have also reported seeing a "glitter" or sparkly radiance that falls from the sky and strange lights in the heavens. The “heavenly glitter” or "gloss" has reportedly appeared on Maria on several occasions. A giant cross has also appeared above the mountain, and there have been many cures. According to Dr. Arrieta, who studied at Harvard, there have been more than 1,000 physical healings at Betania. 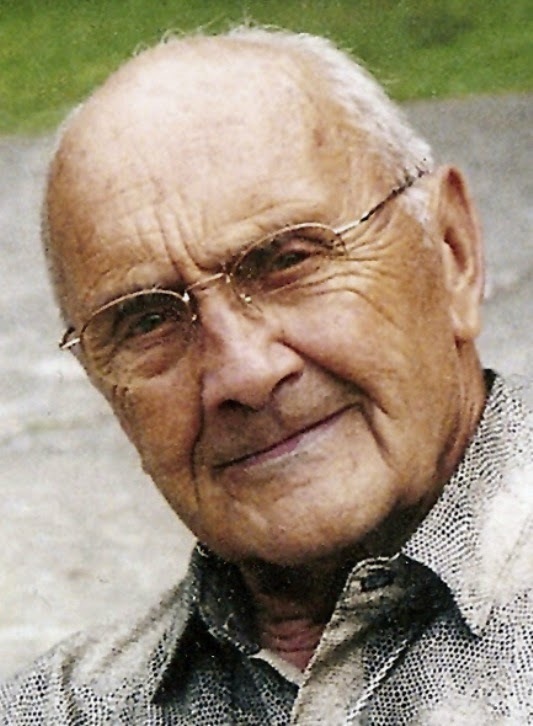 He himself was cured of prostate cancer that had metastazied to his spine. Others have been cured of paralysis, liver disorders, and leukemia. 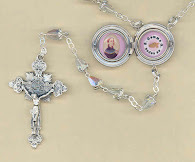 Additionally, holy relics have been miraculously found at Betania such as on December 14, 1985 when Maria Esperanza felt compelled to go to the creek, where she spotted a rock, pulled it from the creekbed, and in turning it over saw that it held a white image of the Virgin. There have also been Eucharistic miracles at Betania as for example on December 8, 1991, when a Host began to bleed as the priest held it. Investigation the matter, Bishop Pio Bello states "I had a scientific investigation conducted, and this was done by a laboratory in Caracas that is totally trustworthy," says the bishop. "They proved definitively that the substance that leaked from the Host was human blood." As part of his ongoing investigation, Bishop Pio Bello personally interviewed several hundred witnesses and took about 550 written statements, and some of the documents contained more than one signature, to the extent that at least a thousand people actually signed their names to the documents certifying their testimonies. During Bishop Pio Bello’s investigations he consulted with the then cardinal prefect of the Sacred Congregation for the Doctrine of the Faith, Cardinal Joseph Ratzinger (now the Pope), and also Pope John Paul II himself. 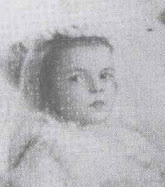 After Bishop Pio Bello’s investigations were completed, he waited three years for further reflection and discernment, then he issued a pastoral letter on November 21, 1987 declaring that the Betania apparitions not only conform with Scripture and Church teachings, but also "are authentic, they are supernatural, and they are of a divine source.” Afterwards, thirty-five of Venezuela's thirty-seven bishops and auxiliary bishops accepted his assessment, that is, they did not object to it. Bishop Pio Bello's approval states that Betania is a sacred place for prayer, pilgrimages and worship. It is important to note that Bishop Bello's investigation pertained only to the events at Betania and that he did not comment on the other mystical phenomena related to the life of Maria Esperanza. conferences with the proper ecclesiastical permission. 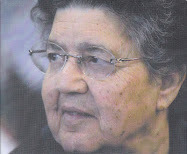 In 1995 she was granted the “Cecilio Acosta” award in Caracas, Venezuela, to acknowledge her valuable contribution as an example and inspiration, and as a promoter of faith and Christian values. 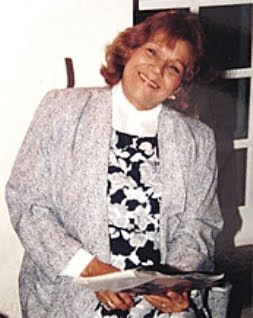 Maria Esperanza died in a New Jersey hospital at the age of 77 on Saturday, August 7, 2004 at 4:36 a.m. after a long bout with a Parkinson's-like ailment. Immediately after her death, numerous individuals present remarked a profuse scent of roses that wafted through the room. The countless souls who knew Maria will always remember her for her extraordinary humility, sincerity, kindness and devotion to Jesus and Mary. She once said: “We must serve and not seek to be served, and we must serve constantly, without feeling tired when we are bothered.” Serving and helping others was certainly one of the main principals by which she lived. On January 31, 2010, at 3:00 p.m., Bishop Paul Bootkoski of the diocese of Metuchen, New Jersey, officiated at a Mass and ceremony at the Cathedral of St. Francis of Assisi marking the opening of the cause for beatification and canonization of Maria Esperanza de Bianchini. On this day (Jan 31st) the Church celebrates the feast of St John Bosco who had appeared to her in a vision informing her of her upcoming marriage. Now that her cause has been opened, Maria is now referred to as a Servant of God. 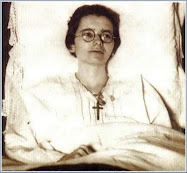 After her heroic virtue has been proven, she will be declared “venerable.” Then, to be beatified, one miracle must be attributed to the her intercession. Finally, a second miracle will be needed for her canonization. Maria was told by the Virgin that we are living the "hour of decision for humanity." The world will face a "very serious moment" soon. “A great moment is approaching," the Virgin told Esperanza, “A great day of light!" Maria Esperanza does not foresee the end of the world. She sees a coming purification. “The moment has arrived in which mankind must awaken”, says Esperanza, “we must awaken to the love of God. In the coming years a new light from heaven will illuminate hearts, but before it does there will be hardship”. She forsees war, societal problems, and natural disasters. But she also sees a cleansing that will restore humankind. 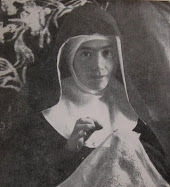 -Servant of God Maria Esperanza de Bianchini, pray for us! -"The Bridge to Heaven -Interviews with Maria Esperanza of Betania" by Michael H. Brown, 2003. Betania Publications. Thanks so much for sharing your story of your meeting with Maria Esperanza in Venezuela and also the extraordinary graces that you have received through the grace of God and the Work that He does through His servants...-Thanks be to God for all His heavenly graces! Having had the occasion to visit Betania many times in the 1990's I was able to witness many miraculous events that surrounded Maria. One of the most memorable is the rose that sprang from her chest on at least 16 occasions. Maria mentions 'unity' in the book 'Bridge to Heaven' repeatedly and often. Her husband Geo mentions it. Something to think about. Although Maria wouldn't comment on Medjugorje and whether it was the Virgin there. Her husband Geo belives. Connect the dots. I read in Michael Brown's book "The Bridge to Heaven" that Maria Esperanza did in fact mention Medjugorje and was told by Our Blessed Mother that Medjugorje is true. She was always very supportive of it in interviews. How can one not be? More than 30 years of positive fruits for the Church; vocations, conversions, healings, changed lives....as far as the Bishop of Mostar is concerned the Vatican took away all authority from him regarding these alleged apparitions and rightfully so, he has stated he does not believe in any apparitions including Lourdes and Fatima and he's proved to be incompetent to judge such a world-wide phenomena such as Medjugorje. I met Maria Esperanza on several occasions, one of which was in her own home. I conversed with her for little over an hour. She assured a good friend of mine that his mother, who was dying of cancer, would be healed...She died shortly after that encounter and there are numberous witnesses to this who still feel she is inspired? Unfortunately, I do not find anything to be of supernatural origin with her, other than her baptism and reception of the other sacraments. In fact, I find many things to be very suspicious, particularly the alleged "reading of hearts" which caused a great deal of confusion within myself and many other people I know. During my investigation of her, I found numerous false prophecies both specific to individuals of whom she claimed to read their hearts, but also on a larger scale in the form of "warnings" by certain dates. I know of several people who were advised to buy plane tickets because apparently around 1997 the eastern seaboard was going to be wiped out? Then it became 1999, then 2003, then 2007, the latest is 2015- as announced by her surviving family members. I also have some concerns about the shrine in Betania, although I am inclined to accept it in light of the alleged miraculous spring, the eucharistic miracle, and the witness of several hundred people who all claimed to see the Virgin Mary there. However, the approval of the shrine was unusual in that only one bishop, apart from any team of experts, approved it (apparently there is some speculation that this bishop was not entirely mentally sound when he approved the site, but that is a separate issue). Usually a Bishop does not go in it alone in these matters, but for whatever reason the bishop felt he could handle all aspects of the investigation himself. Even more curious is the fact that apparently her "gifts" have now passed to two of her daughters who seem to be able to "channel" Maria? I find all this odd and not at all in keeping with Catholic spirituality. And even more recently there was talk about a "tribulation" in which "aliens" would help the faithful get to Betania (I know this sounds extreme but this was disclussed in the past year- 2012- by Mr. Geo himself at a prayer group and confirmed by several priests I know). Perhaps there was at some time an authentic manifestation of the Holy Spirt and the BVM through Maria Esperanza, but I fear that in the latter years of her life, spiritual vanity had gotten the better of her. I strongly urge the faithful to seriously pray about this issue before invoking her intercession. I am not a "doubting Thomas" per se; I accept Medjugorje, even though it has not been officially approved by the Catholic Church. I accept Fatima, Lourdes, etc, and believe there are true visionaries in our midst. However, I believe that in a lot of cases we are dealing with either human emotion or demonic deception and it makes a lot of sense that we would see many counterfeits emerge. Thank you for sharing your comments and personal experiences. It is very beneficial to present all sides and perspectives. Glenn, you are welcome and thanks for your open mind. What is also very curious is that if you have the fortune of speaking with a priest from Venezuela, you will find that most of them are highly suspicious of the whole family. I know of one priest in particular who cannot understand the fanfare around Maria Esperanza at all, and is highly skeptical. 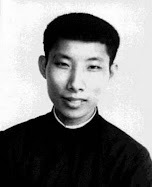 He is a very simple faithful priest. There are also other things that simply do not add up, such as their puzzling support for Cesar Chavez over the years. When questioned about this, Maria asserted that Chavez had a very special role to play in the world to come. We now see what that role is- he is now 6 feet under and mostly forgotten. In January of 2012 "the family" as they refer to themselves, announced that something remarkable would happen by June that would completely change the world. June 2012 came and went, just like December 1997, 1999, 2003, etc. Those who are told this sort information are asked not to share because they are part of a privileged, elitist group that is privy to this information. If anyone questions, they are considered to be influenced by Satan.If anyone wonders why the prophecies are unfulfilled, they are reminded that all prophecies are conditional and that the time has been "extended". I have very serious misgivings about all this, but I appreciate you giving me the opportunity to share. I have many thoughts on this subject, as annoying as they might be to some people. Thanks again for your comments and for the information that you provided. 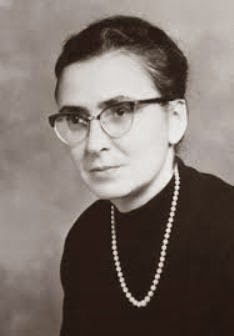 Since her cause for beatification is now currently under way, I am sure that in the investigation all areas of her life will be brought forth for reflection and consideration, and therefore I am confident that the Church, in Her wisdom, will judge wisely and accordinagly. So, eventually time will tell. As I previously stated I met her several times in Betania. Usually on one of the feast days celebrated at the site there. One of those often in attendance was Bishop Pio Bella Ricardo. I don't know if his presence there indicates his approval of Maria personally or just the shrine of Betania, but I would assume he was not totally opposed to her. After reading several of these events of apparitions, visions and strange religious occurrences to people, I am curious to know why these events all involve Jesus and Mary appearing to Catholics and not to individuals of other Christian religions. As Jesus loves all people, why would his visits only be recorded as being made to Catholics and not to Protestants. In light of the history of the Catholic Church, I am very skeptical when I read articles and events such as this one involving Ms. Maria Esperenza. To reply to your question, without a doubt over the centuries there has been countless persons outside of the Catholic church who have received mystical graces. However, the focus of this website is to bring to light the many little known Catholic mystics, so this is why the emphasis here is on the Catholic mystics. Glenn: Thanks for your reply. My comment on this blog was overall referring to apparitions, appearances, etc., claimed by the Catholic Church over the years. It was not solely intended for mystic experiences. I have done extensive research and have not found names of any individuals of Protestant faiths who have seen/witnessed reliable apparitions or appearances or any sort - this is just a Catholic thing which makes me skeptical. I would like someone to advise me of at least 3 names of Protestant individuals who have seen/witnessed an appearance by the Lord. No disrespect is intended here - just would like to know. I understand what you are saying and I agree that for sure no one can reasonably think that Jesus appears *only* to Catholics, given the abundant evidence otherwise over the centuries. Really, it is not difficult to find Christians (whom you refer to as Protestants) that have been given visions of our Lord--and to a lesser extent our Blessed Mother. In fact I have highlighted one such Christian on this website--the American named Rhoda Wise (she eventually converted to Catholicism which is why I have her on this website devoted to Catholic mystics. 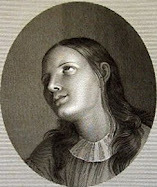 Her visions began and occurred primarily before her conversion). As far as absolutely 100% certain credible visions of Jesus outside the Catholic church, we find in the Holy Scripture how Saul (later Paul) who as you well know had a vision of Jesus on the road to Damascus--at that time Saul was a fervent Jew who persecuted the christians). I can tell you that over the centuries there has been countless protestants who have claimed to have seen Jesus in visions--In researching Catholic mystics I have come across a number of them--in fact there were a good number of Christians who claimed visions in the 1800's and 1900's, and even many today---I mean, have you ever visited the "700 Club" website for example? -It is rife with them--and this is a very mainstream and legitimate Christian "church". But really it is not possible for me to present to you any "reliable" ones--either past or present-- because it is not for me to even begin to judge such matters, since they have occurred, or are presently occurring outside the Catholic church. In short, christian visionaries past and present are not rare or hard to find--but classifying any as "reliable" or legitimate from a Catholic perspective is not possible in my opinion. In Betania we have the same situation, but the promoters do not have the same discernment of Father Romagosa. The promoters of the Movie "Betania - Land of Grace" narrated by Ricaardo Montalban and featuring Father Rene Laurantine have mixed the True with the False. Maria Esperanza is not of God. The Church, meaning the local bishop who is the sole authority appointed by God, approved the apparitions of Our Lady to the people and the Eucharistic miracle as being supernatural, meaning "From God". The Church did not even mention the name of Maria Esperanza. According to Esperanza, a wife and mother, Mary and Christ have been talking to her for many years before the true miracle. However, she never mentioned this to anyone, not even her husband, until after the true apparitions. To all of you that are questioning this amazing woman, how dare you. How can you call yourselves Christians and not believe in something that is right there in front of your face? Do you believe in God? Do you believe in the Holy Spirit? Do you believe in Jesus Christ? Now, let me ask you this...Have you ever seen God face to face? Have you seen the Holy Spirit? No you have not. But we still believe. Why? Because we know God exists. We can feel it when we pray or go to Church. If we based everything we believe off of "seeing things," then where would faith come in? Faith is taking that first step, even when you can't see the whole staircase. To Anonymous: I am sure there are people in Venezuela that find the family to be "suspicious". But don't you think that the people in Jesus's time found him to be suspicious? Of course they did. To the point where they brutally murdered him. And wouldn't you know it....he rose from the dead.Turns out he was right. Sometimes we don't understand why things happen to us. The death of your friend's mother im sure was a horrible tragedy, but perhaps when Maria said she'd be "healed," she meant healed for all eternity. And I can bet you she is much much happier now than she was on Earth. The point is, Maria Esperanza is a saint. That woman's gifts were undoubtedly real. Look at all the amazing things she has done. She has predicted so much. I know all of this first hand because I experienced it. Two of her daughters do have spiritual gifts. They can read hearts.Three years ago, I got to speak with one of them. She told me things that I never even told my parents. She also told me to be prepared in my faith, because something was going to happen that would test both sides of my family. She predicted the deaths of certain loved ones. A couple months after I talked to her, my granddad on my mother's side died very suddenly. It tore my family apart. Within the SAME week, my grandmom on my father's side also died. Both sides of my family were tested and went through a lot. However, we survived, because of faith. Since I was prepared for it, I was ready when they died. How do you explain that? There is no way she could have known about both of those deaths unless it was directly from God. Unfortunately,people will still have a hard time believing after reading this because it didn't happen to them directly. Perhaps that is what it takes for some people. Maybe some people need to talk with her daughters face to face, and then I guarantee you they will believe. 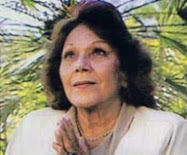 Maria Esperanza is amazing, and she is still performing miracles to this day, through her intercession. I pray that in some way, she touches all of your hearts. God bless! Maria had an apparition of the Blessed Mother and asked Our Lady if she was appearing in Medjugorje. 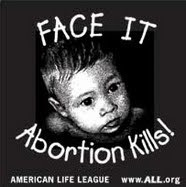 The Blessed Mother said "Yes but my children there will suffer much". This is in the Bridge to Heaven by Michael Brown. Unity Publishing doesn't believe in any apparitions except Soufaneih. Ironically Myrna the holy visionary from Soufanieh has met with and supports several visionaries that Unity has maligned and discredited. Steer clear! I know very little about this woman, but I find some of this story troubling. First of all the Saints always point to Jesus, emphasize conversion and repentance. The emphasis is never on the Saint but on God. I don't see that here. 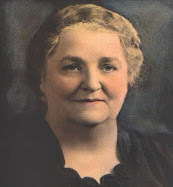 I am honestly a little shocked that the Church is considering this woman for Sainthood. The Bible tells us that it only takes one false prophecy to make a false prophet. From the previous comments, evidently this woman has made at least one false prediction of someone who had cancer. In addition to the other problematic issues regarding Esperanza, pictures of her "stigmata" strongly suggest that her wounds are self-inflicted fakes. They are simply slices across the palms of her hands, not puncture wounds like those of Christ and legitimate stigmatists. Also, there are no wounds on the other side of her hands, only the slices across the palms. 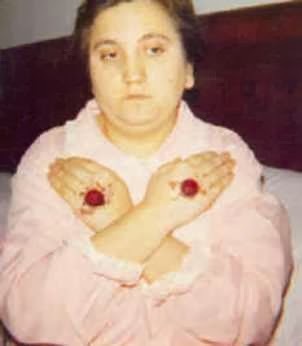 Google "Maria Esperanza stigmata" and you will see that this is a fraud. Maria's problem of reading hearts takes to a mystic world.Miracles happen i suggest but it depends on how you take them.No one can blame natural phenomenon. people born with mystics can be much better can than normal like all. Toward the beginning of the book on her written by the Postulator for her "cause", he describes her as falling on the bed in a trance, then speaking to her new husband in a language that she didn't know, revealing to him events of his past which she did not know. Real mystics do not act like this, but psychic mediums channel evil spirits in this way. Apparently Maria had astonishing supernatural gifts, but probably from the devil, not God. There is just so much in that book contrary to the lives of real mystics saints, so much duplicity from Maria and so much that rings false, all in the first 30 or so pages. I once read a true story of a nun that everyone thought was a saint her whole life, because she had so many supernatural gifts. She confessed on her deathbed that she had them because she had given herself to the devil. I suspect Maria or someone in her family was involved in the occult at some point, and Maria was infested. Dear Glenn, why did you remove my post? It was a legitimate post, do your research - try to find any authentic mystic who slumps into trances and speaks a foreign language, expressing unknown knowledge about someone. The Spirit of God NEVER does that, but evil spirits do. In fact, those two things are two of the most basic criteria used to discern if a person is truly possessed - do the research or ask any authorized exorcist. The book I referred to was Maria Esperanza and the Grace of Betania, by Fr Timothy Byerley, and, if I remember correctly, the story of the possessed nun was from Graces of Interior Prayer by Auguste Poulain, SJ. Maria was able to fool so many people because she possessed so many supernatural abilities, and people are so overawed when it comes to those kinds of things. Which is why the Church does not use them in its criteria for judging if a person is a saint. Again, please do your research. 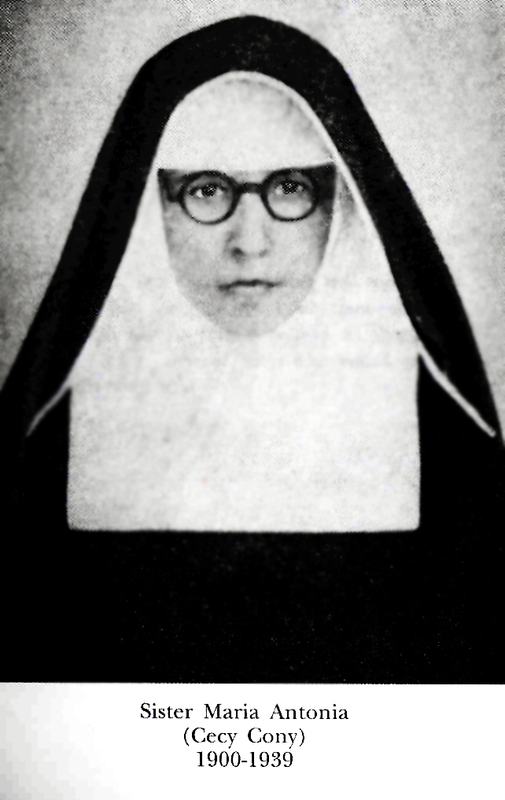 Sr Joan. Thanks for BOTH of your comments--I actually did not remove your first comment; what happened is that for some reason the blogger comment system marked it as "spam" and automatically removed it. Anyway, I just restored it--sorry about that! As for the nun that Fr. 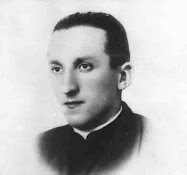 Augustin Poulain S.J. 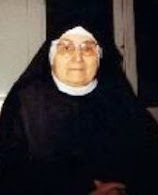 wrote about in his book "The Graces of Interior Prayer" her name was Sr. Magdalena de la Cruz (Magdalena of the Cross) and I have actually written an article about her here on this website. You are very right to point out that the true story of her life, in fact, is quite a warning concerning the possibility of being misled by a false mystic. In regards to Maria Esperanza, I sincerely appreciate you sharing your concerns here. As you know the Church has currently been investigating her cause, so I am sure that in time the Holy Spirit will guide those involved to a correct discernment concerning her, for the sake of the faithful and also the truth. Praise be God--Thank you Holy Mother and Holy Intercessors!!! Those who are living a holy life, and have been educated by Our Lady of Medjugorje, may discern more than others. Our Lord even told us many false prophets shall rise and they will deceive if possible even the elect. This apparition does not seem from God. To have a peaceful life and to stay away from deception, one should follow the road from Lourdes to Fatima to Medjugorje, not excluding Devine Mercy Our Lord apparition to St Faustina. Someone have asked why apparitions seems to be reserved to Catholics. Ask also why only Catholics have Saints. Ask also how many Churches has Our Lord Jesus? Is God divided? "Father keep them one as we are One". This does not mean that others are not saved, as St Paul and the Church teach, but it sheds light on which Church is the Bride of Christ? Concerning prophecies she made and whether or not they came true, St. Joan of Arc was assured by her voices (St. Michael, Margaret, and Catherine) that she would be released from English captivity in three months. She was led to believe she would be rescued, but we know what really happened at the end of those three months. Prophecy isn't always clear cut. We see things as "through a glass darkly". Consider how the writers of the New Testament proclaimed that Christ's return was "soon". Were they false prophets? Of course not. In the end we need to leave it up the Church to investigate and determine the truth of the matter. I met Maria in Betania on the anniversary of the apparitions on March 25, 1990's. She wasn't feeling very well that day. I wanted a chance to speak with her. She was speaking to a few people in between going to rest. I knelt down by her chair as she kept coming back to it. She did come back to her chair and started talking to a woman with my pilgrimage group. Our tour leader came over to us and said that it was getting dark and we had to get back to Caracas soon as the mountains are dangerous at night. I told our guide that I wanted to speak to Maria. She said that she had arranged a private meeting with Maria and just our group the next day. So as I started to get up Maria pulled me back down and told my tour guide to wait. She looked into my eyes and asked just like Jesus "What do you want me to do for you?". 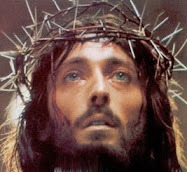 I was in awe.....I swear I was looking into the eyes of Christ. I couldn't speak. She took a deep breath and then proceeded to read my soul. She knew things about me and my life this she couldn't have known by herself. I could see the bruises of the stigmata in her palms and the smell of roses was overwhelming. As she was guiding me she kept asking me if I understood what she meant . This was all done thru her interrupter. I tried my best to take it all on. Finally our tour guide said we had to leave. The guide told me I could clear everything up the next day at our private meeting. Needless to say Maria got so sick they took her home and we didn't get to see her. She knew I wouldn't get to see her the next day, hence her pulling me back. have no doubt her words were true and that she was a female Padre Pio. 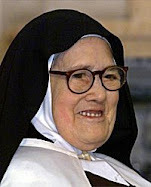 I saw her once more when I was in the audience when she was on Mother Angelica Live EWTN show. It was a powerful night for everyone there. I trust that Mother Angelica had good discernment. I had photos of Maria during our quick encounter but hurricane Katrina took them. 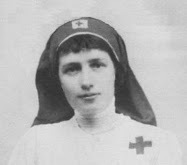 In one of the pics her profile resemblemed Mother Teresa.......very intriguing. Thanks for allowing me to share my experience with Maria in Betania. This is a beautiful testimony. I never had the blessing of having met her but feel drawn to her spirituality. To me, Servant of God Maria Esperanza, St Gemma, St Pio and so many wonderful souls help me on my journey so much. Glenn, thank you for posting her biography. God bless you. I happened to be reading through these comments and I just wanted to commend you for your extremely prudent responses regarding the negativity towards Maria Esperanza. I actually experienced a major conversion (always Catholic but never fully practicing) by getting to know her family as well as a very devout, grounded priest who knew her personally. I can testify that at least one of her daughters' gifts are completely real and undeniable as she has read my heart on numerous occasions, pin-pointing many things she couldn't possibly have known about. As some skeptics have suggested, in the name of fairness, this doesn't confirm the sanctity of neither this woman nor her mother, Maria. Yet I can say with absolute confidence that in all my experiences with this family, I have never heard anything said that fell outside of Catholic teaching. This is coming from a religion teacher who considers himself to be very orthodox with regard to Catholicism. Finally, I would like to add that Jesus said we would know things by their "fruits". Those within the Church who have investigated Betania are absolutely clear that the apparition site and everything surrounding it have caused good spiritual fruits, including increased reception of the Sacraments at the apparition site, itself, which I understand Maria and Geo donated to the Church. I would also caution readers that so much of the time, when it comes to mystics and supernatural gifts like reading of hearts, people will often hear only what they want to hear, or at best misinterpret what has been said. We are all human here, trying to communicate infinite, heavenly spiritual things (that can be completely legitimate) through our imperfect human language. It can get tricky. As you said very wisely though Glenn, in the end the Church in its wisdom will decide, and that is actually what Maria's family has been saying for years now. They have repeatedly asked all those close to them that nobody call her a saint, because they defer all authority on the matter to the Church. This echoes the values it seemed their mother/grandmother constantly adhered to. All things will go as God wills them! Its great to hear from you---thanks for sharing your reflections and comments here!